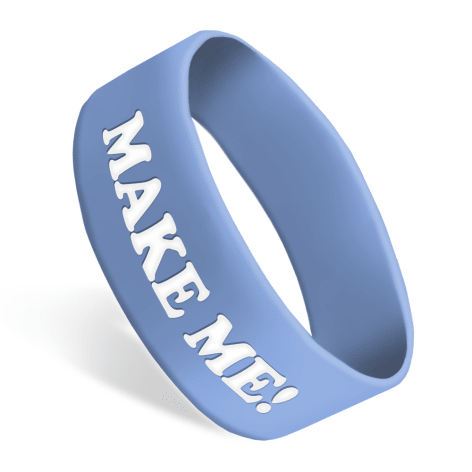 Our widest band, the 1" Ultra Wide Wristband is great for complicated artwork or bold messaging. Nobody will miss your message when it's on this product! The most room for your custom message & logo! 1" wide face, available in Youth, Adult, and Extra Large fits.